When it comes to project management platforms, there are plenty of options to choose from but among the many platforms available on the market, the two products that stand out from the rest is Wrike and Trello. Trusted by many reputable companies from various industries, these software solutions are known for their user-friendly interface and comprehensive set of functionalities. On top of that, both vendors offer flexible pricing plans that make them great for companies with different spending capacities. Both are undoubtedly offer great project management tools, but how do you know which one would be a good investment for your company? In order to help you compare Wrike vs Trello, we will be discussing some of the functionalities that these products have to offer. This way, you can gain a deeper insight as to what each of these software solutions can and can’t do. Moreover, it will help you understand whether or not these are capable of supporting your project management goals. Tackling any business endeavor can be challenging, especially for the project leaders and entrepreneurs who need to plan, organize, and lead their team to be able to accomplish their projects. This is because there are plenty of factors you need to consider in order to create a seamless project workflow that will get the job done in the most efficient way possible. 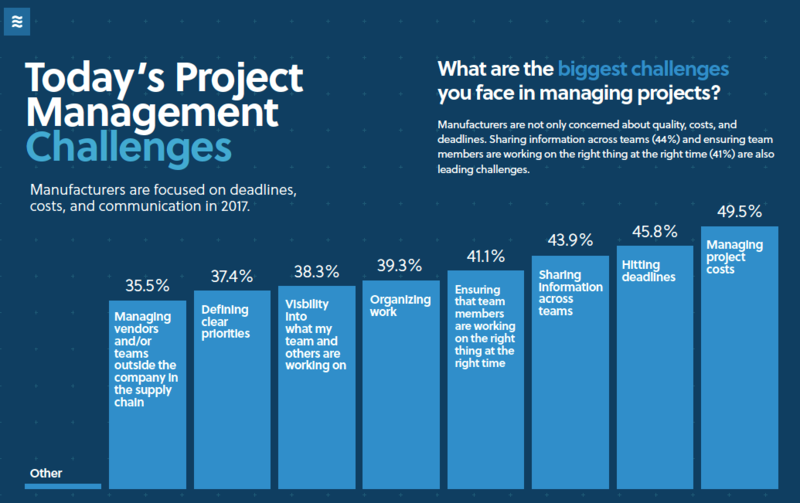 As you can see in the provided infographic, some of the most challenging aspects of the project management process are determining project costs (49.5%), meeting deadlines (45.8%), making information accessible across teams (43.9%), and monitoring team productivity (41.1%). To address these pain points, many professionals opt to invest in project management solutions. These software programs allow users to better organize how they handle different tasks for their operations. Often equipped with a robust set of functionalities that tackle project planning, these platforms make it is easier to form a vision for success and create ways to help you keep your project on track in terms of SLA, budget, and scope. Without these, you and your employees will find it difficult to navigate through ups and downs of your projects, hold your team together, as well as ensure that client collaboration remains proactive. With these solutions as part of your arsenal of business systems, you can get access to tools for team collaboration, project scheduling, time tracking, budgeting, as well as performance reporting. Moreover, these can serve as unified hubs where you can map out goals for your team, monitor the progress of operations, see who’s working on what, and measure your team’s productivity. As you are looking for one that suits your operations, you should consider project management software vendors like Wrike and Trello. These two are among the best solutions out there because they offer scalable interfaces and easy-to-use yet powerful functionalities, making them great for businesses of all sizes. Before looking at how the two tools compare however, we should first discuss what Trello and Wrike can do. What Do These Project Management Software Do? While project management tools share plenty of similarities, they still have differences that may be factors in why you should or shouldn’t invest in them. This is why it is important to have a good understanding of the functionalities that your prospective software solutions offer. To help you out, we have provided a concise description of Wrike vs Trello below. With these, you can get a better idea of what to expect once you decide to use either of these products.  Before you choose, however, you should also consider the other solutions on the market. You can start by taking a look at our list of top project management platforms. An award-winning project management platform trusted by reputable brands like Goolge, Fitbit, and Hootsuite, Wrike is designed to track projects, monitor deadlines, prioritize tasks, and facilitate collaboration within teams. It is marketed as a solution that simplifies how businesses of all sizes can tackle multiple projects at once. With this at your disposal, you can easily streamline your collaborators and staff members and have a more organized workflow that you and your team can easily follow. Wrike features a number of powerful, mobile-ready tools such as custom workflows, Gantt charts, file sharing, time tracking, task version control, CRM, and tagging options. With these, you can easily file projects and subprojects in a more flexible hierarchy as well as manage pending, active, and finished tasks quickly. It also has a central dashboard with a three-pane layout that will help users monitor their performance in real-time. Moreover, the platform has API capabilities that make it easy for you to configure the program according to the changing needs of your business. The vendor offers a comprehensive free trial so you can check all its features. You can easily sign up for a Wrike free trial here. Ideal for startups and small businesses, Wrike offers a free plan for teams of up to 5 users. It can accommodate an unlimited number of collaborators and is inclusive of features for task management, file sharing, real-time activity stream, spreadsheet views, advanced email integrations, basic app integrations, and in-platform discussions. There are also paid plans that are priced according to the sets of features you require. They have a Wrike Professional Plan at $9.80/user/month for teams that need project planning and collaboration tools. There is also a Wrike Business Plan available at $24.80/user/month for teams requiring robust work management with customization and exec reporting capabilities. If you need functions for marketing, there is also a Wrike for Marketers package that costs $34.60/user/month. As for large enterprises that need their platform to accommodate over 5000 users, there is an Wrike Enterprise Pricing that is only available by quote. Trello is a leading project management system and collaboration application known for utilizing kanban boards. Designed to be a simple and easy-to-navigate platform, this allows users to plan, organize, and track projects without the fuss that comes with most PM solutions. Trello benefits freelancers and businesses of different sizes by providing them with a scalable interface that is easy to learn, fast to implement, and accessible from any device and browser. By utilizing Trello, users can get the details to their projects at a glance. From which staff is working on which project to the categories and deadlines of each task, you can check it on your boards with ease. Moreover, the platform allows users to discuss projects or tasks in real-time using collaboration power-ups. It also has activity logs and email notifications that will keep everybody in your team in-the-loop about tasks. In addition to these, Trello offers sophisticated listing, labeling, and encryption options to help you better manage your tasks and keep your data safe. These will allow you to do away with long email threads, outdated spreadsheets, and clunky tools to manage your projects. The platform also has open API capabilities that let you enable integration with cloud-based services and many enterprise systems. Like Wrike, the basic Trello system is available completely for free. This can accommodate an unlimited number of boards, lists, cards, members, checklists, and attachments. It also offers basic integrations with Box, Drive, and Dropbox. If your business requires more advanced features, the vendor also offers paid plans: Business Class at $9.99/user/month and Enterprise at $20.83/user/month. With these subscription packages, you have access to Power-Ups, stricter security options, better flexibility, and more. To compare Wrike vs Trello, we will be discussing the core features that PM solutions should have and how these two products are able to provide them. Below, we will be giving you an in-depth explanation as to how you can use these two platforms for the different aspects of the project management process. This way, you will easily be able to tell which one is a better fit for your operations. 37% of project failures are caused by the lack of clearly defined objectives. This is why it is important for you to have a platform with project planning features. These will help you set your scope, budget, and schedule for a particular project as well as be able to measure your progress with ease. It is through this that you map out your tasks and plan the necessary resources you will need for each activity. For this functionality, both products offer great options depending on how you preferences and priorities. One one hand, Wrike offers a unified planning system that lets you get accurate, up-to-date info that will help you meet deadlines. This system includes real-time reporting options to help you guide your team and adjust strategies on the go as well as a resource management option that will help you utilize your materials and staff better. There’s also a team calendar that makes it easy for you to see what you have to accomplish at certain dates. Moreover, the Wrike project details on your dashboard may be zoomed in or out depending on how much information you want to see at a given time. If you are looking for a platform with specialized PM features, then this will probably be a better option for your team. On the other hand, Trello offers a simple and straightforward system with drag-and-drop functionalities and in-line editing. Using this, you can create team spaces where your staff and collaborators can take a look at all of your tasks at a glance. All you need to do is set up your boards, break down lists into cards for more specific tasks, set due dates, and assign them to your staff. What makes Trello great for project planning is that you can use the kanban boards to map out your tasks however you want. You could set it up in such a way that it is easier to see pending, ongoing, and finished tasks. You may also opt to use it to list your activities according to the priorities of your team. 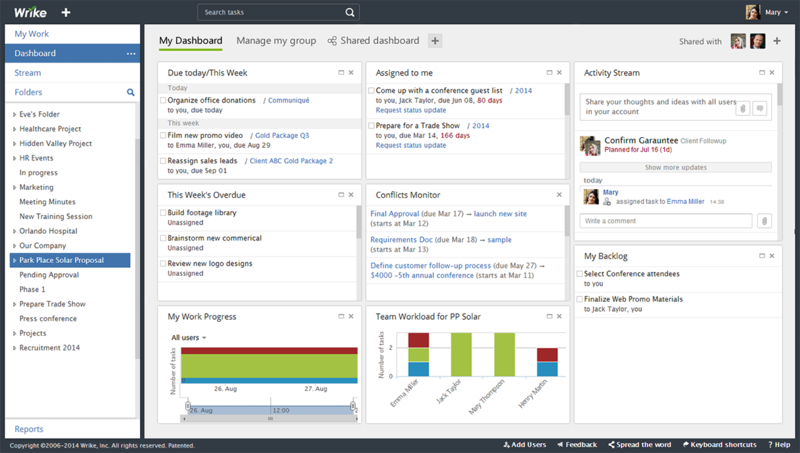 This makes it more ideal for teams who are not familiar with traditional PM software. Wrike’s 3-pane view helps you see the big picture and drill down to details at once. Task management tools are created to help you divide your team workload, make sure all members are utilized, and monitor team performance. In this aspect, both platforms have robust approaches that can cater to the unique needs of different teams. With Wrike, you have access to an advanced task manager that lets you create tasks, delegate assignments, set schedules, discuss details, and track work progress in one convenient place. These can be monitored using a collaborative task list where you and your team members can have a clear view of what needs to be done. On top of that, team members are also provided with tools that can help them store personal to-do-lists and ideas so that each of your staff can manage their work more efficiently. Meanwhile, Trello offers a unique approach of using kanban boards to manage tasks. Within these boards, you can categorize your activities into lists and then break them down into movable cards for specific tasks. For each card, you can attach files related to the task, assign them to specific members of your team, and discuss the assignment at hand with them using the comment tool. For easier monitoring, deadlines and labels may even be added to each card. No team project can be accomplished without seamless collaboration amongst your staff members. Using collaboration tools such as custom alerts, built-in communication systems, and email integrations, you and your team can easily coordinate the different details of your projects. In this aspect, Trello and Wrike offer similar solutions. The latter offers supports @mention options, email integration, cross team collaboration, and real-time visibility for all team members. There are also custom status updates and alerts that will allow everyone in the board remain in the loop about the progress of your project. Moreover, there is a proofing and approval tool that will help you simplify the way you track the final outputs for each task. Like Wrike, Trello accommodates email integrations and activity logs that let you monitor what your members are doing. However, this has a comment feature that allows users to leave notes on specific cards. Whether you want to provide instructions, clarify certain aspects of a task, or add new information that can help in accomplishing the specific task, this tool will certainly come in handy. As for real-time communication via chat, neither platforms offer it as part of their interface as of the moment. However, they do integrate with a number of third-party applications such as Slack as a workaround for this. Time tracking is what allows users to track how much time team members are spending on particular tasks and generates reports based on that information. Between the two platforms, Wrike has the upper hand on this as Trello doesn’t offer this feature. Wrike provides different time tracking options for its users. You may choose to manually add a timelog entry or use the built-in task timer in order to keep track of how many hours your team members are spending on your project. These entries are then recorded in activity streams and can be visible in your timelog view. As for Trello, while it does not have a built-in time tracker, the software does support a number of power ups that will help you do this. Among the third-party applications you can choose from are 3T, Everhour, Punchtime, Paydirt,and Clockify. Using these, you will be able to measure just how much time is spent on the boards, lists, and cards you have on Trello. Wrike has a time tracker built into the task pane. If you and your team members are always out and about to manage your projects, then it is important to have a platform that offers mobile connectivity. This will allow you to access your workflows, pull documents, and provide status updates using your mobile device. Wrike has a native Android and iPhone applications that let you use all the Wrike features on the fly. You may also access this via any web browser. However, this version is not optimized for mobile devices and can become difficult to manage. So, if you intend on using this platform on the field, it is best to have the mobile application at your disposal. Similarly, Trello has an application that you can download on Google Play and the App Store. All features that the desktop program has are present in the mobile application, making it optimized for people who work on the go. You and your team members can list down and delegate tasks, track your progress, and much more. Trello as seen on iPhone. The amount of paperwork involved in project management can get overwhelming over time. It makes it difficult to find what you need when you need it. This is why document management tools are created. These tools make it easier for users to store and archive the files that they are using for their projects. For Wrike, the platform supports file widgets in dashboards and a grid view for proofing and approvals. Using this, you no longer have to rummage through your emails to look for files. It has an integrated search and version tracking functionality that will help you find your files easily. What’s great about these features is that you can organize them in one place, filter, and sort by file and task attributes, and more. As for Trello, the closest to a document management system you can get out of Trello is being able to attach any type of file to specific cards. This way, you are organizing them based on the task they are associated with. However, this might become difficult in the long run as it doesn’t have a consolidated database that archives all of the files you have in different boards. One workaround here is to integrate the platform with third-party applications like Google Drive, Dropbox, or OneDrive. Workflow automation is a feature that aims to help users reduce the amount of time spent on repetitive back-office responsibilities. With it, you simply have to create a sequence by which your tasks have to be done and set parameters on when the platform should change the status of each activity, notify your team members, or make changes to your workflow. For this, Wrike provides options for dependencies and timing that will allow you to set due dates and proofing steps. This will allow you to fully customize your entire workflow automation. Just set parameters on when the program should change the status of a certain task, when it should notify team members, and the like. Trello, on the other hand, does not offer a full-fledged workflow automation feature but it supports a Butler power up that serves as an in-platform assistant that can be programmed to automate certain actions within your boards. What makes this great is that you can easily configure the Butler power up without the need for computer programming knowledge. This comparison of Wrike vs Trello goes to show that both platforms offer plenty of benefits for its users. However, it is clear that Wrike is a more powerful solution compared to Trello because it is more targeted for industry-specific project planning. Moreover, it has a more comprehensive and specialized set of tools that tackle budget management, real-time collaboration, as well as workflow automation. Of course, this doesn’t mean that Trello is no longer a good option for your company. This platform still packs quite a lot of functionalities for teams that prefer a cheaper and simpler PM solution. Its charm lies in simplicity and elegance of its drag and drop interface. What’s more, if you are also a very visual thinker, Trello would be an ideal choice. All in all, it is important to first understand what you want and what you need in a project management platform before making a decision. You can start assessing these needs and preferences by checking out our article on what to look for in a project management system. Easy Project Management Software: Is Wrike The Top Choice? Wrike is more like a set of todo lists, whereas Trello allows modeling of simple business processes and the flow of work items through them. Both softwares get clunkier when operating on larger scales, but for small teams Trello is the best imho because you can more naturally model and identify WHERE related items of work exist in their respective flows — not just what work exists and who it’s assigned to! I’m not that familiar with Trello, but I wouldn’t call Wrike just a set of ‘to do’ lists. Go to Wrike Labs and check the beta features, you were probably looking at some older version. Indeed, it doesn’t look any more special than other apps proclaiming visibility when you look at it, but if you’re using it for a longer time as I do, it will give you the idea of how all tasks and subtasks are doing. I’m really satisfied with how it organizes my work. The only thing I mind is that there are not enough whitespaces in my current theme, but I can live with it. We use Wrike at work and I do not find it to be intuitive, but rather clunky and an impediment to my work. Half my work time is spent trying to input into it, navigate through, etc. so that I can account for the real work that I do. I am so much more productive working off of a handwritten to do list. Wrike is no bueno.